I used to call this my bible. I’d buy an update every year or every two years. 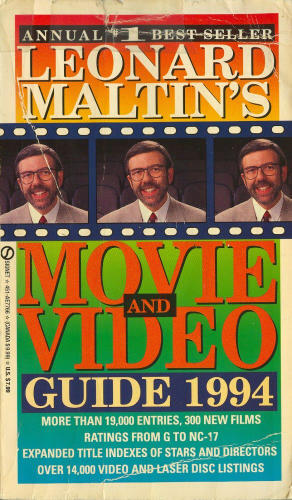 The perfect reference guide for a film buff. At the time my internet access was mostly via the university computer rooms, so this was great to have around. The synopsis/reviews were concise, accurate and sometimes funny and it was a book that was a great guide and a fun thing to dip into randomly. Of course, today, it’s unnecessary, with instant internet access almost anywhere. Free. Constantly updated. With better search functions. But way back then it was the perfect book for me. I’m surprised it’s still around, but part of me is glad is it.